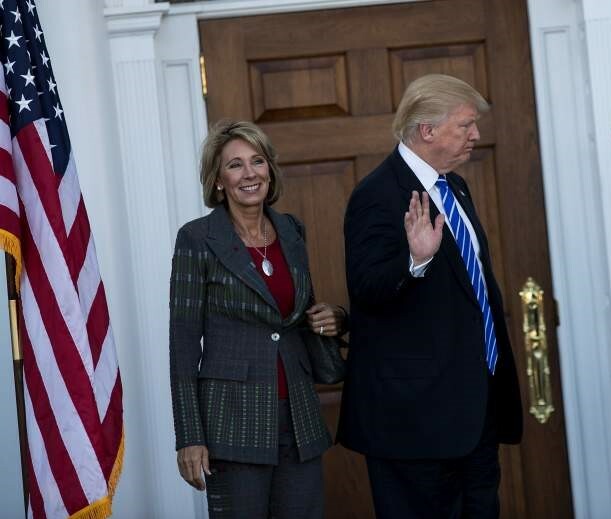 On February 7, 2017, the Senate confirmed the nomination of Betsy DeVos as President Trump’s new Secretary of Education. The vote was historic, but not for a positive reason: DeVos was confirmed only because of an unprecedented tie-breaking vote cast by Vice President Pence, after the Senate tied 50-50 on the confirmation. It was the first time that a vice president had been called to Capitol Hill to break a Senate confirmation tie. Of the many arguments against DeVos’ confirmation, the main ones cited were her lack of knowledge and experience in the public education sector, and the federal laws pertaining to education, and her support of the charter school/school voucher movement. Vouchers are a system whereby parents can use federal tax dollars to pay tuition for their children at private, religious, and for-profit schools. The concern is that funneling tax dollars away from public education and toward parents who want to home school or privately educate their children will result in breaking school districts that already are resource compromised; unsurprisingly, low-income school districts and those with primarily minority populations are most in danger. According to David E. Kirkland, an education professor at New York University who has studied DeVos, “Her extensive conflicts of interest and record of diverting money away from vulnerable students and into the pockets of the rich make DeVos completely unfit for the position she was just confirmed to.” Neither DeVos or her own children attended public schools, and her enthusiasm for the charter/voucher system was widely seen by opposition as a disconnect from public schools and how they function. Opponents also cited her wealth, her record of sizeable contributions to the Republican Party, and her extensive financial investments, all of which could be seen as potential conflicts of interests. But beyond the manipulations found in a kleptocracy, as we have become, the greatest concern with DeVos’ confirmation is the explicit affront to the 378 years of American public education that has largely succeeded and improved over time. The American “experiment” in large part was implementing modern thought into social structure. Society since the Reformation has largely rested on the dominance of science and scientific inquiry over religion, and by extension, the same has been true of public education. Arguably, the Age of Reason has been the most important pillar of American education, and our founding fathers realized that religion must be kept out of public schools in order to preserve the modern notion of liberty and religious tolerance. The movement toward privatizing public education can also be seen as a movement away from the foundation of science that modern education is built on. Privatizing education allows parents to use public tax dollars to educate their children as they see fit, but a hallmark of public education was teaching our children how to co-exist in light of our ethnic and religious diversity. The shameful irony in all this is that DeVos et al are promoting religious intolerance, as we have always seen public schools as an important institution for creating civil society. DeVos’s ideology, therefore, is not manifesting liberty; it is generating solipsism, which is already a problem for a country that is forgetting what it means to live beyond self-interest. Beyond the esoteric argument of American society and public education, let’s be clear: DeVos’s strategy for improving education through school choice and for-profit schools is fallacious anyways. Even during her confirmation hearings, another major study by the Economic Policy Institute emerged, demonstrating that school choice programs have no significant benefit to student performance, and often have a negative effect. And to be blunt, public schools are only a “dead end” if we choose to make them so. If DeVos is so business savvy, I am sure she would agree that all institutions need resources to succeed. The fact is, the public school systems that have resources are for the most part doing perfectly fine. Since public education was instituted in the United States beginning in the 17th century, it has also been touted as essential in that a successful democracy requires a well-educated citizenry. But to be more brutally honest, education is necessary to create an ideology, a set of national values, a shared morality that enables the country to operate more efficiently. As John Taylor Gatto writes in his book Dumbing Us Down: The Hidden Curriculum of Compulsory Schooling, “School, as it was built, is an essential support system for a model of social engineering that condemns most people to be subordinate stones in a pyramid that narrows as it ascends to a terminal of control.” These are very conservative values, to create a shared national morality with everyone in their proper place as cogs in the larger machine, but the irony lies in the fact that Trump’s administration and his newly unveiled budget are actually tearing apart this so-called morality structure that he gave so much lip service to during his election. It shows a moral bankruptcy, evident in how supposedly money-saving measures are going to hurt the majority of the people it purports to be helping. DeVos’ nomination was just one more step in this process of tearing apart the moral grounding that the Republican party liked to think of itself as exemplifying. DeVos’ name truly should be Betsy Devoid, because her approach to education is devoid of moral capital, and in the end, is devastating the most valuable part of our society: our children. Her nomination is troubling in and of itself; barely being confirmed is nothing to admire. But the larger implication is another crack in the foundation that our country was built upon. When the emerging Trump philosophy is to deconstruct “the administrative state,” DeVos is part of the wrecking crew. Yet it is those “administrators” that help cultivate success for endless generations of children and nurture core national values that we still hold dear. And as a woman who has spent her life being a children’s author, this is where my heart starts to break. This entry was posted in Education and tagged academics, administrative state, America, Betsy DeVos, democracy, Department of Education, Donald Trump, education, Marcia Amidon Lusted, morality, public schools, sociology, Tedrowe Bonner, writing, writing for children. Bookmark the permalink. You get a Like for the title alone!